Materials: granite, rope and bamboo. Dimensions: m. 14,6 x 1,6 x h 0,85. 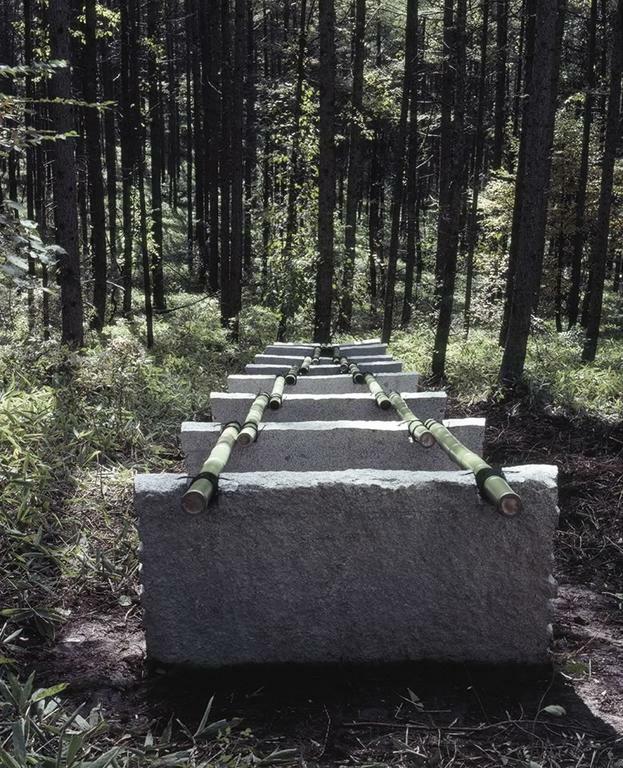 Created during a long stay in Japan, which was made possible by a grant from the Japan Foundation, the work, a strong incursion but at the same time respectful of the environment, of which it becomes part and inserts itself in a silent forest interrupted by expanses of dwarf bamboo. Once again, the choice of materials is crucial. The use of bamboo shafts accentuates the integration and assimilation of the work within the place that receives it. 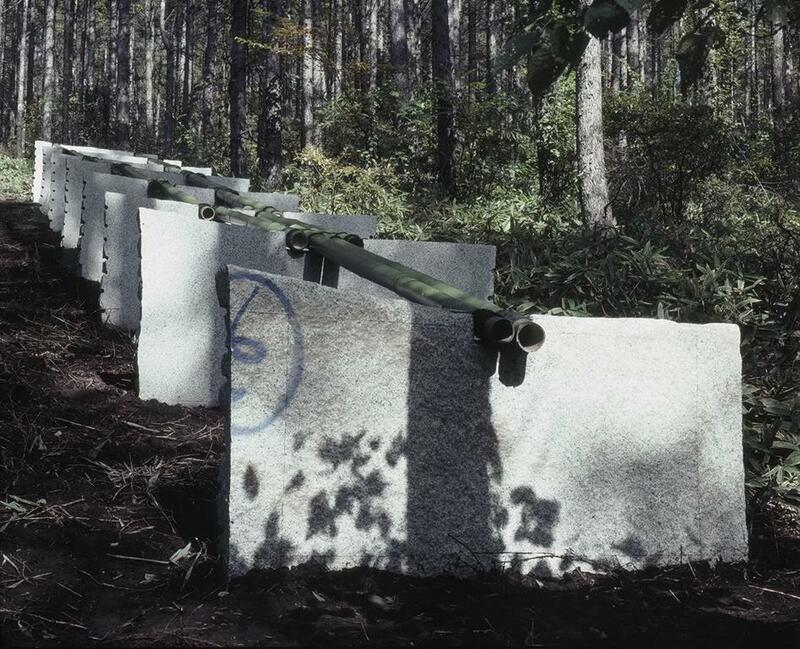 At the same time, however, this potential assimilation is contradicted by the ordered arrangement of eight thick slabs of granite cut from a single block; the vegetal elements, held by rope in openings carved in the upper surface of the granite blocks, converge in the suggestion of an almost accelerated perspective that evokes the idea of a plane suspended above the expanses of bamboo, like a surface area that hovers above the sea (Umi-no-kanata-he means precisely above the sea).